iradiophilly | News - No Pension for Seth Williams; Disabled Man and Caretaker Shot; Woman Stabbed in Montgomery Co. 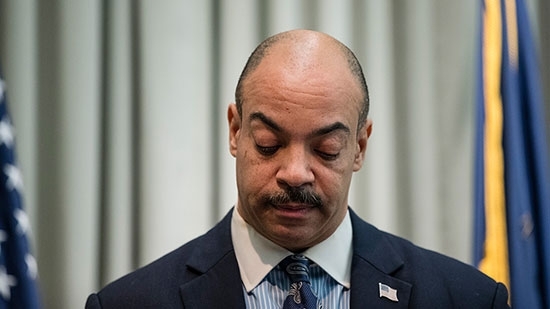 The Philadelphia Board of Pensions voted on Thursday to disqualify former District Attorney Seth Williams from collecting a pension. Williams resigned from his post on June 29th after he pled guilty to a single count of bribery in the middle of his federal corruption trial. The rest of his charges were dropped. The board acted on provisions under the State Public Employee Forfeiture Act and the city's Public Employee Pension Code Disqualification. Williams will also lose $118,439 he already paid into the pension system. It will be used to pay lawyer fees, ethics violation fines, and possible restitution fees. He will be sentenced in October and faces up to 5 years in prison. A man in a wheelchair was shot and killed and his caretaker injured during a home invasion in the Tioga-Nicetown neighborhood. It happened close to midnight Friday on the 3300 block of North Gratz Street. The 36-year-old disabled man and his 51-year-old caretaker had just arrived home for the evening. The caretaker helped the man up the stairs and into the home when two armed men forced their way into the house. The man in the chair apparently tried to hold the front door closed but was shot in the head by the intruders. The caretaker tried to flee but was chased down and shot in the leg. He was taken to Temple University Hospital in stable condition. Police believe this was a home invasion turned homicide. Other family members were upstairs at the time but were uninjured, including a 61-year-old female, a 15 year-old, 4-year-old, and 2-year-old twins. Police are searching for the gunman. Pennsylvania State Police are investigating after a woman was found stabbed to death in her home in Montgomery County early Thursday morning. Troopers were called to the home on the 400 block of Abbey Lane in Perkiomen Township at 3:18 a.m. They found a 54-year-old woman with a knife in her chest. She was pronounced dead at the scene. The woman's daughter made the call to authorities. She has been identified as 54-year-old Annette House. The investigation is ongoing.